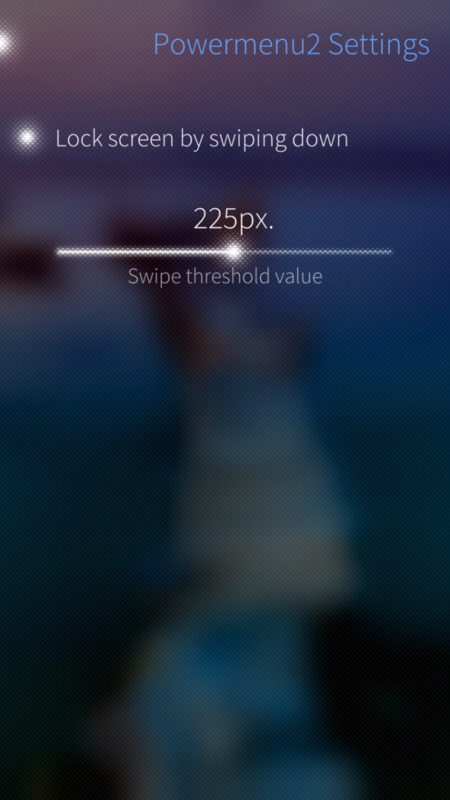 Swipe down to lock feature: when peeking ambience switcher you can release finger on "Lock" button area to lock screen. I finally updated to ijoki and this patch can't be enabled in patchmanager. The patch gets installed but can't be applied thus it can't be used. How do I go about that? You can click on that glowing dot at the left of patch name to apply / unapply patch. Do not need to open patch page for this action. All icons are doubled when Powermenu2-ambience-switcher is installed. Unapply Customizable Power Menu first. 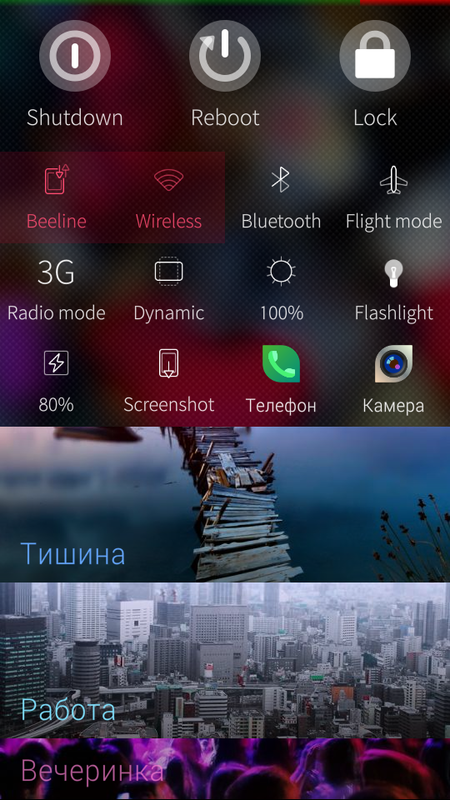 Which of the customizable menu is it? 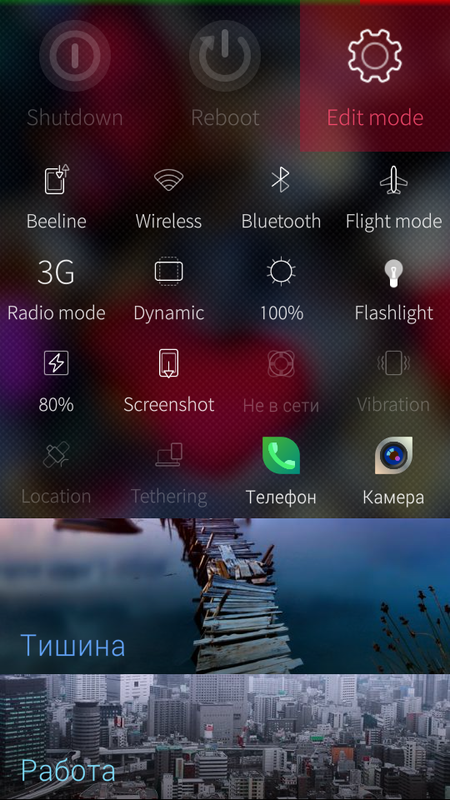 I'm on SailfishOS 2.0.1.11 with lastest updates. does your jolla tablet have flashlight? Only one button here ("Lock"). if you disable close gesture in device settings, you can swipe down inside application and see ambience selector with two buttons. and no there are no hacks for displaying power control buttons when swiping down. Is there a way to make it work with Restore swipe to lock and Profil Change In Lock Menu ? It would be perfect ! If you swipe down just few pixels and release finger it will lock phone. Profile change is available if you use patch for powermenu in ambience swither. Can I ask what you used for app close? "appLayer.closed()" just minimizes the app. Can I add this feature to my patch? This is requested the most. This is almost perfect! But one thing, could you code this thing, that the ambience switcher to work not just from the top edge of the home screen, but-also from anywhere within the screen? I think, and not just me, this would be an comfortable solution! super patch! Ia am just too stupid to make 'swipe to lock' work. I'll reinstall and do some training. Note there is a default vertical thresold you need to reach to actually expand ammbience menu, if you cancel dragging before, your menu will hide. So, if you release your finger before reaching this expanding thresold, your screen will be locked.